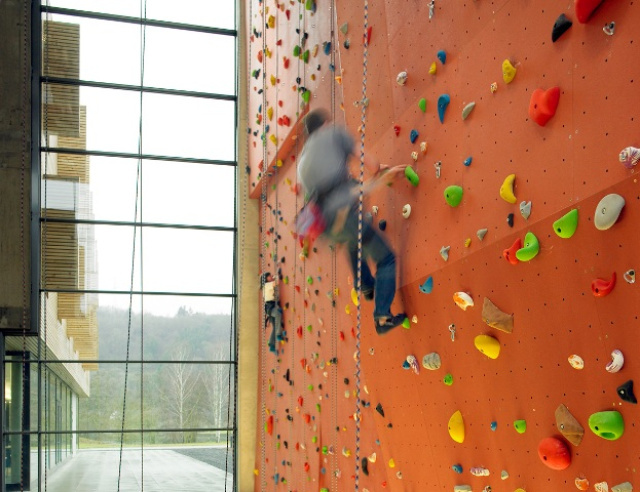 Whole 14 meters high, is the modern climbing hall at the youth hostel Echternach. 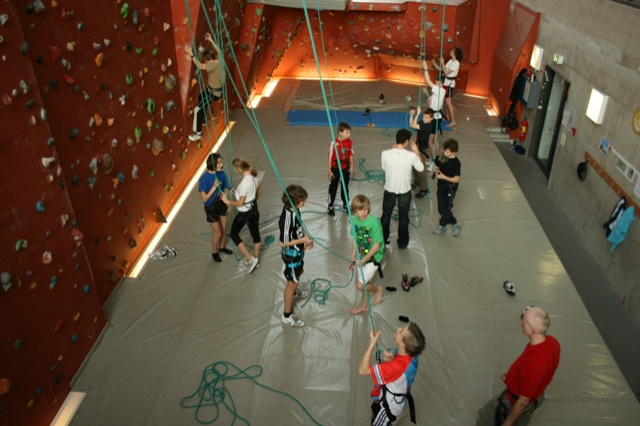 Thus it is optimal for regular climbing courses and free climbing, whether beginner, intermediate or families. 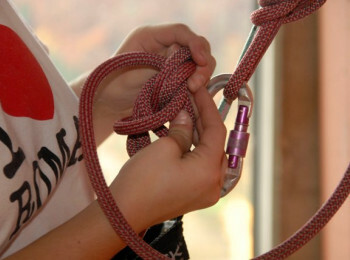 Also climbing equipment can be hired. 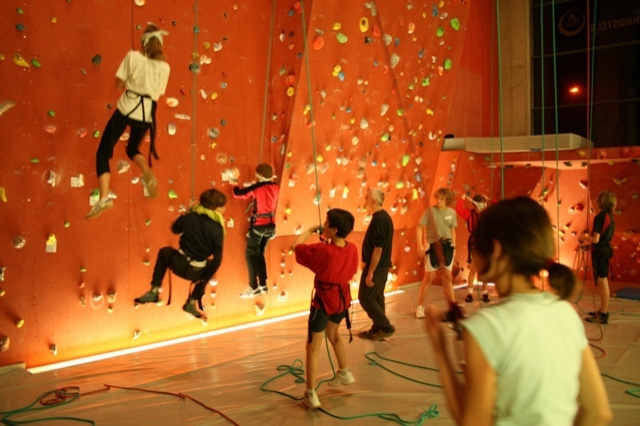 Climbing courses are held regularly for adults and children. 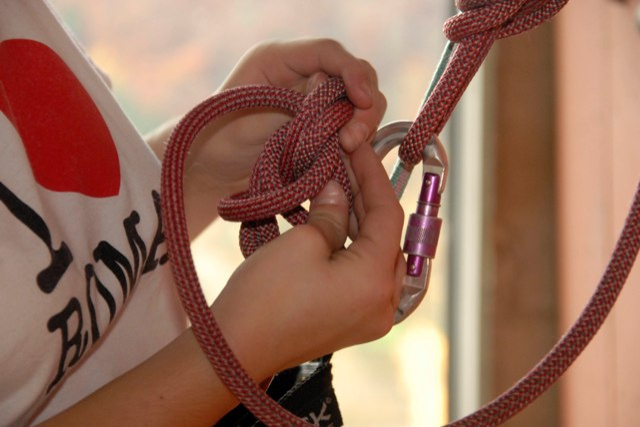 Here you learn all the essentials for safety and climbing techniques and you will be then prepared for the free climbing. 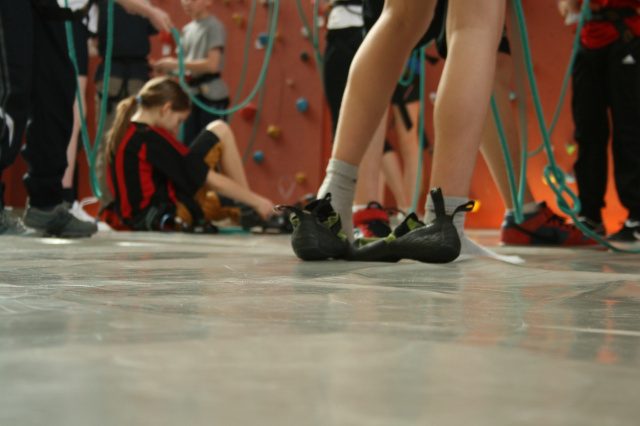 Registration for the climbing initiations is required and is also a prerequisite for all beginners to then participate in the free climbing. Free climbing does not mean that you climb without securing, but it means that you climb without technical aids. This means that only the hands and feet are used for ascending. 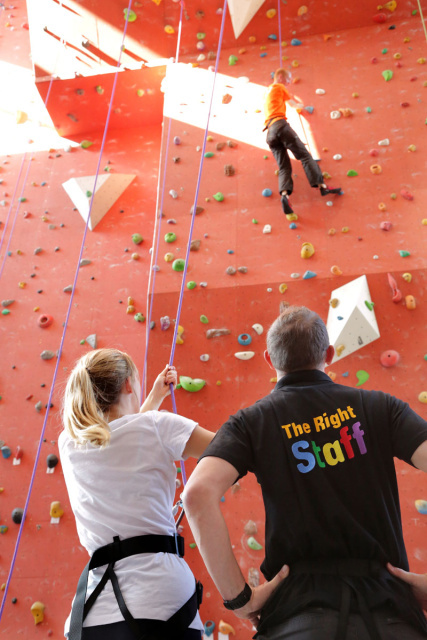 While the free climbing, we ensure the supervision through a qualified trainer, so you can climb an hour or two up high with your climbing partner. And new contacts can be built as well. After climbing you are welcome to meet in the cafeteria of the youth hostel for a snack or drink. 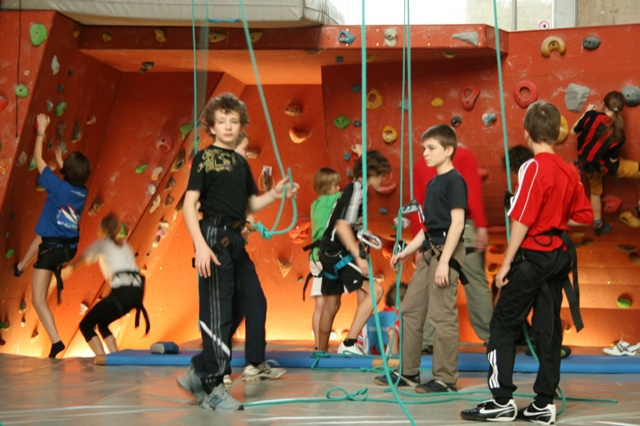 Accompanied by an adult who is familiar with the safety techniques, children from the age of 5 are permitted to participate in free climbing. 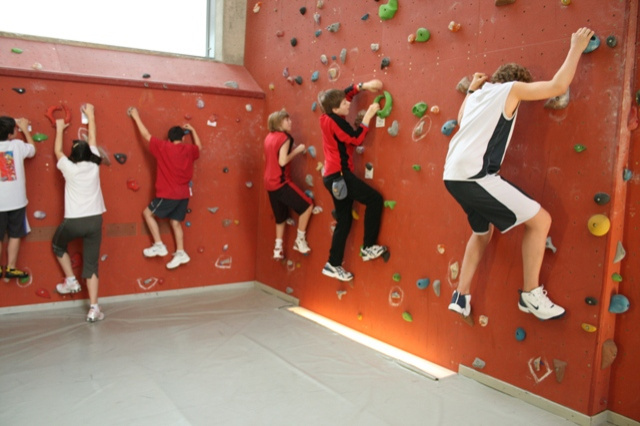 We also place the 14 metre high indoor climbing wall of the Echternach youth hostel at your disposal for experiential education and team building activities for groups and climbing courses for kids. The focus here is on a capacity for teamwork, social skills and trust. But knotting and safety techniques and lots of fun are also on the agenda. 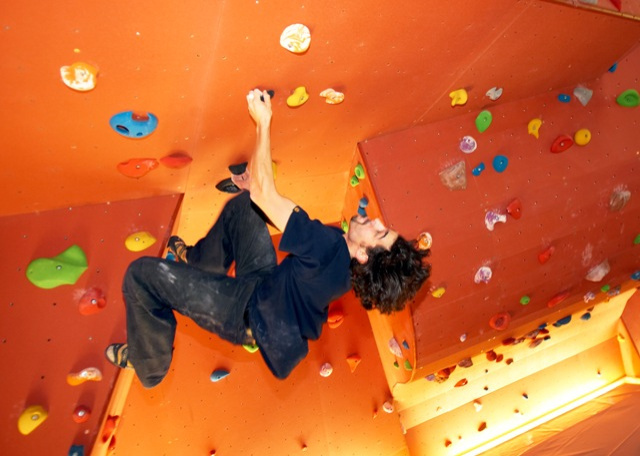 From the physical point of view, climbing is holistic fitness training. From the psychological perspective, the individual challenges posed by climbing build self-confidence and self-assurance. The latter is an indispensable skill for working effectively and boosts the productivity and motivation of the participants. Climbing is never carried out on one’s own, but always with the team.